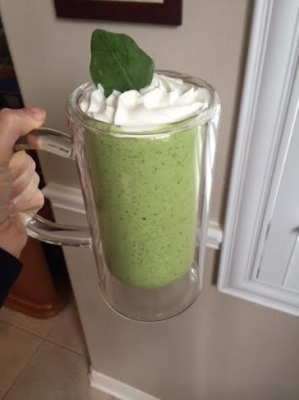 Love McDonalds Shamrock Smoothie, but hate all those calories? Try this easy & yummy Green Smoothie! Place all ingredients and blend together until blended. Tip: Use Vanilla Flavored Protein Powered. My favorite is Vanilla Ice Cream by 1st Phorm. Tip: Add whipped cream and leaves for decoration on top.